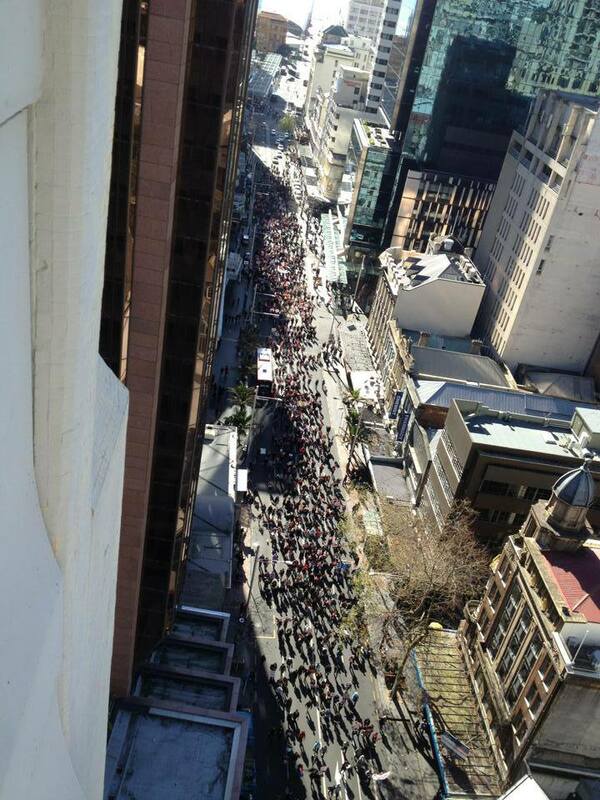 Nearly 20 floors up, hanging from the clouds sensing the spirit of over a thousand passionate Kiwi’s, marching up Queen Street today. My beautiful partner and our miniature schnauzer marched for the first time among a group of individuals who know you are only as good as your treatment of the lowest common denominator in any given community. Watching people, ordinary New Zealander's, marching for those who cannot speak for themselves, a little bit of hope creeps in and maybe we can start thinking about an amendment to a Law that has put us to shame.